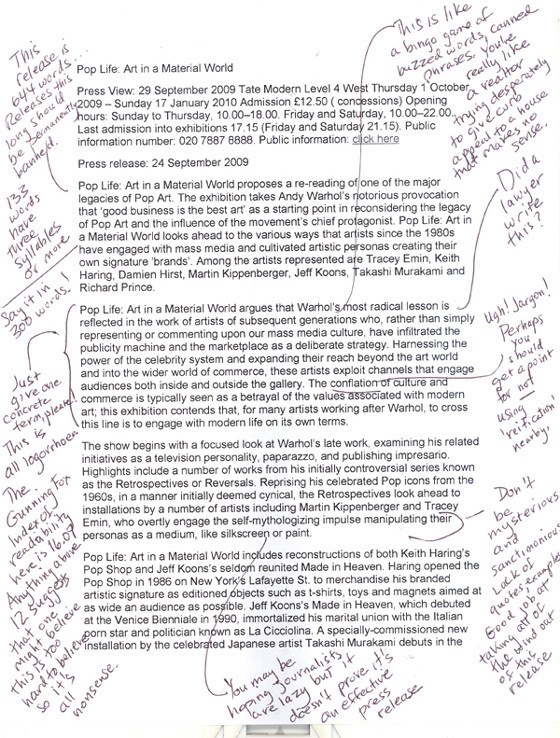 Our PR specialist "does a BANK"— and critically evaluates the press release for the exhibition Pop Life: Art in a Material World at Tate Modern in London. 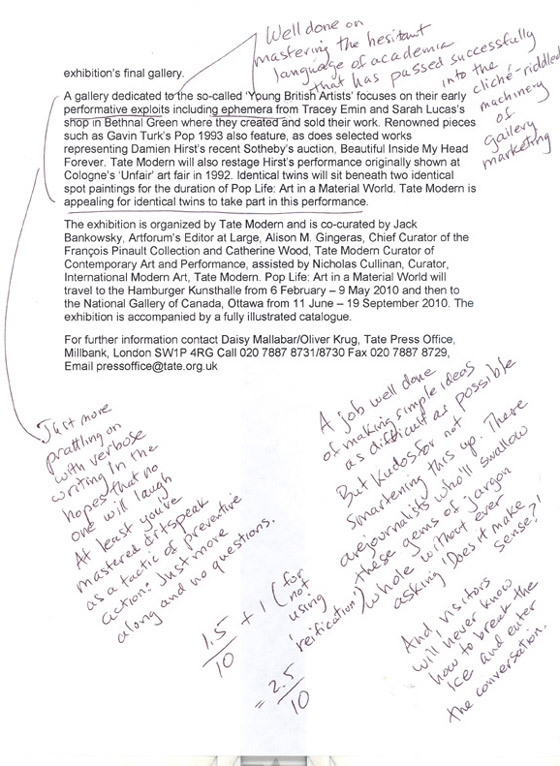 Sorry Tate Modern. It’s time to revise and resubmit!